Shoes and Sneakers are available for purchase online and offline for a price within $4 to $500. You must buy shoes only from trusted sources that sell original products. Genuine products from a reputed brand i.e. Nike, Reebok, Adidas are built with high-quality materials and they last longer. Before buying shoes, you must do some research because top companies launch new sneakers every month or week. Will you waste your money on a shoe that was launched in 2012 or 2011? The answer is obviously no. To discover the latest branded shoes and buy them for cheap, use the following apps. KOF is the most popular shoe app on the Google Play Store. The app makes you aware of the latest shoes available in the markets. It also displays an option to buy them on various popular websites. KicksOnFire displays information on the shoes you’ve selected. It enables you to zoom the picture of the sneaker. You can share the details of your favorite shoes with friends on social networks with KOF. 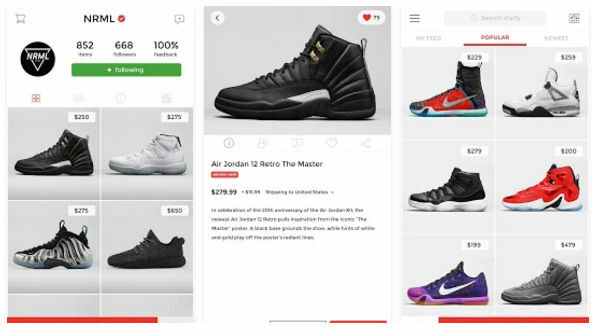 The app lets users bookmark their favorite sneakers. It features a free kicks section that gives users an opportunity to win expensive sneakers. The app displays products that look like the one you’re currently browsing. It lets you go through the list of hottest and most popular shoes right now. Want to know when your favorite sneakers will hit the markets? Download and run this great app from Devverse. The app doesn’t require account registration. It gets into action straightaway. When you open this application, you’ll see a slideshow and list of upcoming shoes. If an item is available for purchase, you’ll see a buy button beside the sneaker name. 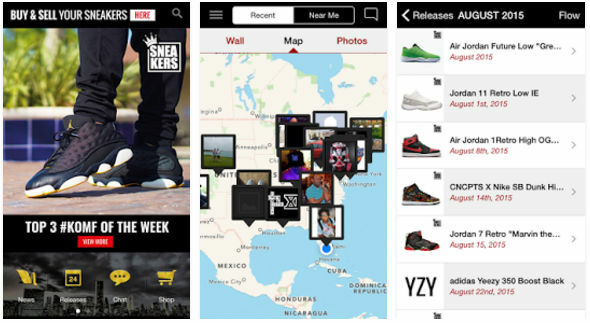 The app features a special section called Sneaker Steals where you’ll find hottest deals on shoes. It enables you to go through the history of sneakers. In this section, you’ll find a list of sneakers sorted by the launch date. To see the story behind the launch of the sneaker, tap on the list item. 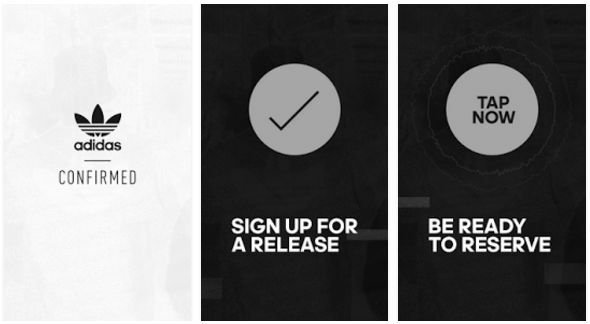 Sneakers Release Dates app is fast. It is easy to use. 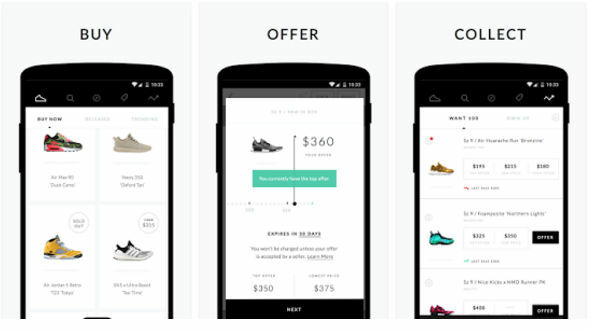 Goat is a great app to buy or sell branded shoes online. The company behind this app verifies merchants before accepting product listings from them. Goat has a listing of only genuine sneakers. The products you find in this app look exactly the same as its picture. If you own a business of selling branded shoes, you can easily get your business online with this application. The Goat app gives you access to a massive listing of 74000+ sneakers from brands like Air Jordan, Nike, Adidas, etc. It has a search option that enables users to find sneakers by their name. It also allows users to filter shoes by size, condition, color, brand, category, etc. JD is one of the largest Chinese eCommerce companies. Many US companies have set up a manufacturing hub in China. As we all know, branded clothes and sneakers are cheaper in China as compared to Europe. If you’re in the US, you can buy Chinese items online with JD. Yes, that’s right! JD ships products to the EU. JD Sports allows you to buy the latest products from top brands. It has several categories and a listing of 1000s of shoes. It has a live search utility and powerful filters to shortlist sneakers. You can watch the videos and see the 360-degree pictures of your favorite shoes with this application. JDS supports several payment methods. Kixify is a good alternative to JD Sports. For browsing Kixify’s collection, you must register a new account with it. The app provides an option to sign in with Facebook or Twitter. Kixify sells shoes launched by 20+ popular brands. The app features an inbox module. When a new product is launched, you’ll get a notification for the same in the inbox. Kixify lets you sell shoes online. It won’t charge you for listing products or registering a business account. Apart from the latest sneakers, the app sells vintage shoes. 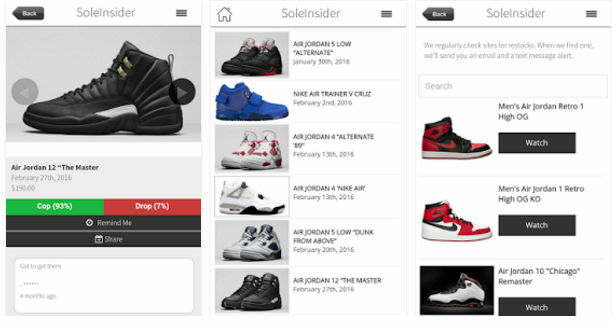 Kixify provides a search tool and a filter utility. It enables users to track their orders. The app has an offer section where you’ll find a list of sneakers on sale. The app allows users to download media content for offline viewing. Its main interface boasts an option to open the news section where you’ll find top stories and latest news of Sneakers. 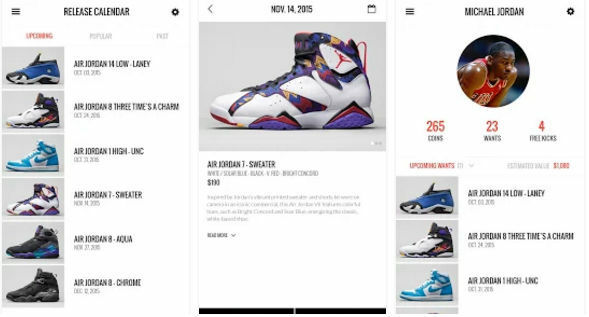 The application provides a calendar with which you can explore the list of sneakers launched on a given date. The Sneakers application provides a search button. It lets you send a message to other users. It also allows you to chat with other sneakerheads in a forum. You can locate nearby shoe stores through the Sneakers app. Like other shoe apps we’ve covered in this article, this application allows you to see photos and videos of the latest sneakers. Sneakers from FullTimesStudio is the best shoe app on the iTunes store. Want to buy the latest Nike sneakers? Download the SKNRS app right now. SKRS provides a great shopping experience to the users by giving them access to a massive collection of high-quality sneakers. The application allows you to set alerts for upcoming products. It lets you share videos and photos with friends on Facebook, Twitter, WhatsApp, etc. SNKRS features daily contests. If you participate in a contest and win, you’ll get an expensive sneaker for free. The iPhone version of SNKRS supports Apple TouchID feature for easier and faster payments. 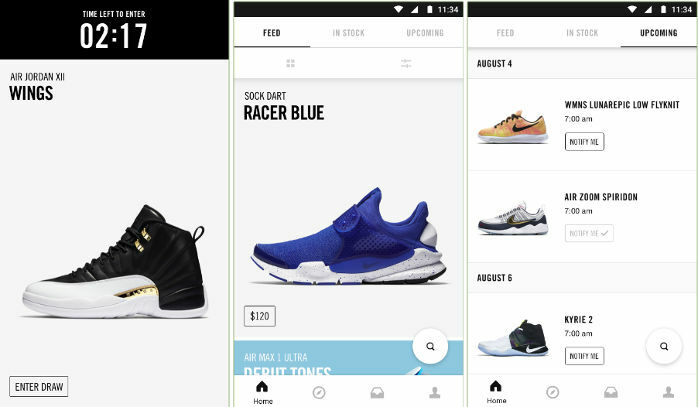 SNKRS is a must have app for Nike fans. Adidas is one of the most popular sneaker brands in the world. 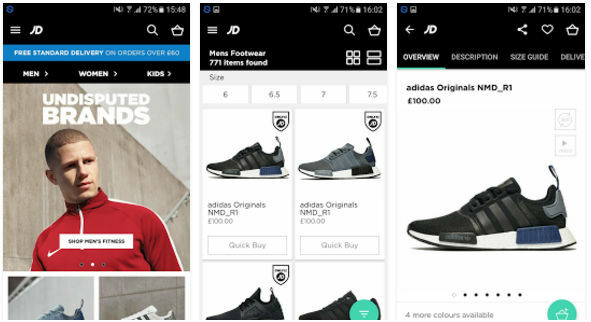 The shoe manufacturer introduced its Adidas Confirmed app on the Apple Store and Google Play Store in 2015. To get started with the app, you must create a new account. Once you do so, you can explore the most popular and latest Adidas sneakers. You can also order your favorite sneakers online and pick them up offline from a store nearby you. The AC application supports push notifications and it supports offline payments.